Renovating Your Mind has read a fascinating book written by a gentleman named Clint Werner. It details how cannabis protects the human system from disease(s) with reputable listed references. I highly recommend this literature to anyone wanting to learn unbiased facts about the benefits of this flowering plant. 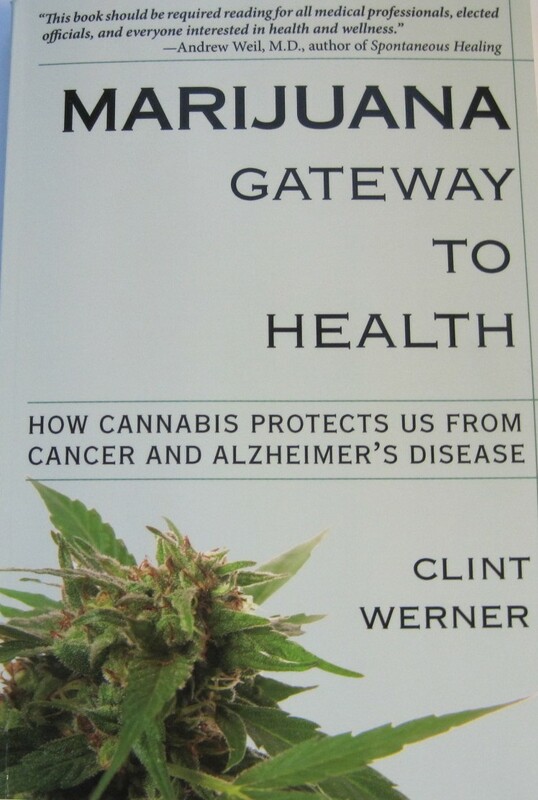 I made the title of Mr. Werner’s book, the title of my article, Marijuana, Gateway To Health. Currently, marijuana has been found to have over 500 different compounds within the plant. Over 85 of these constituents have possible antioxidant beneficial effects in humans. The most popular is THC (tetrahydrocannabinol) but there are many others like CBD, CBN and CBG. CBD (cannabidiol) was bred in higher amounts in the cannabis used to treat the 5-year-old child in the CNN special called Weed. This particular cannabis molecule is thought to control excess electrical activity in the brain. Dr. Sanjay Gupta, cardiologist medical specialist, worked on this documentary about the benefits of medical marijuana. It is an interesting view on what the U.S. citizens has been missing out on with regards to a safer, better alternative to ineffective addicting prescription medications. Currently, marijuana and all its derivative beneficial compounds are still classified by the federal government as a Category One Drug. Renovating Your Mind wants to go over the three reasons listed above on why the federal government’s classification is completely bogus. Caffeine has more discomfort symptoms than cannabis. They include headache, irritability, inability to concentrate, depression, nausea, vomiting, muscle pain, anxiety and agitation. One difference in going “cold turkey” with caffeine is that symptoms only last 2-9 days. In the case of marijuana, the symptoms may last longer with the majority usually gone within 2-10 days. 2. Some of the medical values of marijuana include pain relief, anti-inflammatory effects, anti-seizure value, decrease nausea and vomiting due to chemotherapy, lowering intraocular pressure (glaucoma), weight gain for wasting diseases, cancer protection, GI disease normalization, anti-anxiety, anti-depression, neuroprotective (protects brain neurons) to lower risk of dementia (example Alzheimer’s Disease) and also rare diseases where proper medical treatment is unavailable. 3. Safety is in the figures. There is no reported deaths from smoking marijuana. There are more than 500,000 deaths a year from prescription pain medications like fentanyl, oxycontin, oxycodone, hydrocodone, etc. It has gotten so bad with prescription drug diversion that the DEA, FDA, undercover agents, local police and state police are also forcing health care professionals, drug wholesalers and drug distributors to help out with the enforcement. The drug war, first initiated by President Nixon in the early 70’s, has failed. It is out of control. People throughout the United States base their livelihood on diverting and selling narcotic and controlled substances pain killers. This must be stopped by making their capture more of a priority. Need research in the US for positive clinical studies on animals and humans on the benefits of marijuana. Israel thinks that this flowering plant is so important it funds medical studies on cannabis throughout the country. Release prisoners that have been incarcerated for using, growing, packaging and selling cannabis. This would save billions of dollars and allow more room in the already overcrowded jails. Change marijuana to an available prescription drug sold through medical marijuana or/and pharmacies. Labs would certify these products based on medically active ingredients with the % contained of each constituent. 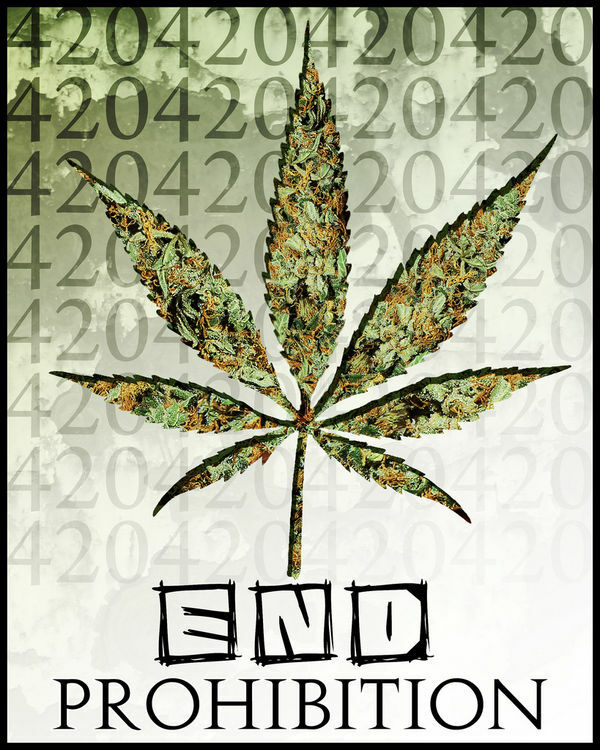 Everyone of the reasons that the Federal government classifies marijuana as a Schedule 1 drug is a complete farce. The majority of the citizens of this country want marijuana to be legalized. That movement continues to expand throughout the United States. Politicians and regulatory agencies need to look at the reality of the medical benefits instead of the propaganda we were all led to believe over the decades. Rob: Check my timeline for After The Badge article about NJ Gov and Medical Marijuana. Thanks Ken. I see it was the same seizure disease that the little girl had on the special, Weed on CNN. I am glad that Governor Christie has opened his mind to see the benefits of cannabis for NJ residents. He saw the child in his state that was suffering and took immediate action. Good job Gov. C.